Review of Armstrong - "THE BATTLE OF LEWISBURG May 23, 1862"
As was the case in many other sections of the Confederacy's badly overstretched 1861 borders, the defenses of western Virginia were neglected by a combination of higher priorities elsewhere and a lack of sufficient material and manpower resources to go around. By the time Richmond finally decided to pour reinforcements into the region (including Robert E. Lee), it was too late to turn the tide and most of Virginia's trans-Appalachian counties were permanently lost to Union control by the end of the year. However, even after most of the principal leaders and many of the troops were transferred to other theaters, intermittent fighting (albeit at a lesser scale than before) continued into the first half of 1862. One of these operations was a small mid-May Union thrust east along the James River and Kanawha Turnpike that was directed at the western terminus (Jackson River Depot) of the strategically important Virginia Central Railroad. 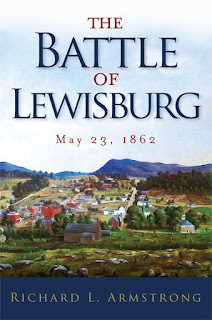 This federal raid, along with the Confederate countermove that resulted in a sharp little battle (and Union victory) at Lewisburg, is the subject of Richard L. Armstrong's new book The Battle of Lewisburg May 23, 1862. As a frame of reference, the town of Lewisburg sits between Meadow Bluff and White Sulphur Springs in Greenbrier County (today's West Virginia), and the events surrounding the 1862 fight there were contemporaneous with the much better known Shenandoah Valley and Peninsula campaigns. Though Union operations on both sides of the mountains in Virginia were not heavily coordinated, Crook's forward movement could be seen as supportive of General Banks's presence in the Shenandoah, and the Lewisburg battle itself was fought on the same day as the Battle of Front Royal. In the opening section of the book, Armstrong does a thorough job of outlining the early-mid 1862 military situation in Union general Jacob Cox's District of the Kanawha. In May, Cox directed strong elements of his command, including Col. George Crook's Third Provisional Brigade, to converge on and occupy Lewisburg. The small enemy garrison escaped to the east, but the substantially pro-Confederate town was secured on May 15th. The next day, Crook continued east on his Jackson River Depot raid mentioned above, while the Confederates under Brig. Gen. Henry Heth assembled superior force aimed at rolling back Crook's gains. In concert with a rigorous assessment of each side's force composition, Armstrong's overview of these early actions and maneuvers ably sets the stage for the volume's main event, the dawn battle at Lewisburg on the 23rd. The Battle of Lewisburg was a brigade-sized fight pitting roughly 2,200 Confederates [22nd and 45th Virginia, Edgar's Battalion, a large 8th Virginia Cavalry detachment, and parts of four batteries] versus 1,600 federals [36th and 44th Ohio, a battalion of 2nd WV Cavalry, and four mountain howitzers]. 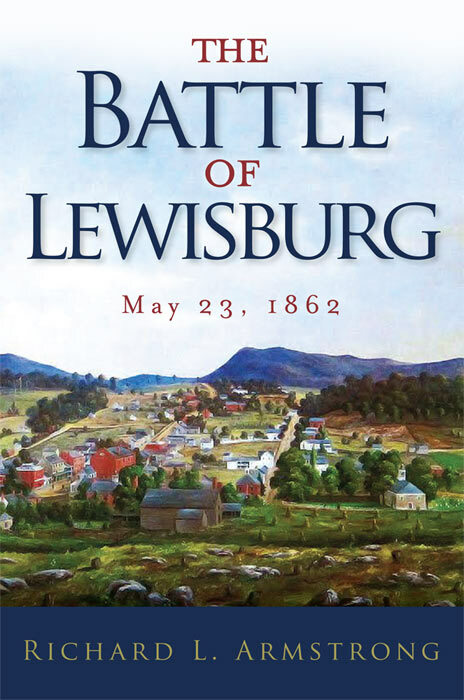 In addition to being small in scale, Lewisburg was also a quite brief affair, with the close-range, decisive combat lasting only around 20 minutes and the entire battle perhaps an hour and a half (from 5 a.m. to 6:30 a.m.). Armstrong's easy to follow narrative offers a detailed, blow-by-blow account of the battle from beginning to end. At dawn on the 23rd, Crook's brigade was camped just west of Lewisburg. Even though the approaches were picketed, Heth was able to cross the Greenbrier River three miles east of Lewisburg and nearly enter the town itself before a general alarm was raised. The Confederates quickly secured the heights commanding the town from the east and deployed their artillery (the number of guns alleged to have been present with Heth's command varies among the many accounts). The bombardment was largely ineffective, with some shells dropping short into the town and most of the rest hitting Crook's camps and trains rather than his troops. Heth then arranged his infantry units into a single battle line and drove them into the town, which like most rural settlements had quite a bit of open space between structures. Met inside Lewisburg by Crook's counterattacking Ohio regiments, Heth's Virginians were halted and immediately routed, losing four guns inside the town and at least two more at the Greenbrier Bridge during the panicked Confederate retreat. With a rather surprising amount of primary source material available, the battle is well documented in the study. Through diligent research, the author uncovered, and incorporated into his battle narrative, a great number of firsthand accounts (military and civilian) of the fighting, more than enough to form a detailed and coherent picture and sequence of events. The substance of Armstrong's battle history also benefits from the great number of newspaper accounts that were printed or reprinted all across the country. Perhaps the greatest Lewisburg mystery is the question of why Heth's line disintegrated into disgraceful rout so quickly and so completely when his command possessed a distinct advantage in numbers and artillery and also very nearly achieved complete tactical surprise. Heth himself was at a loss to explain his defeat, attributing the collapse to one of those inexplicable cascading panics that came to characterize so many Civil War actions large and small. His men, understandably less inclined to accept this, blamed their leaders (including Heth himself, who some accused of being drunk) for mishandling the battle. 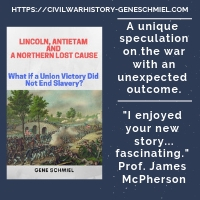 It was lamented by others that no skirmish line led the Confederate advance, and all were critical of Heth's ordering the artillery to follow the infantry into the town, where the guns found nowhere to deploy and were captured by Crook's victorious Ohioans. Of course, some person or unit had to be held responsible for the debacle. First it was the 45th Virginia, which occupied the center position and actually held firm better than any of Heth's units but was mistakenly blamed anyway for leading the panic. Eventually, Edgar's Battalion was scapegoated and a year would pass before that unit would redeem itself in the eyes of the rest of the army. 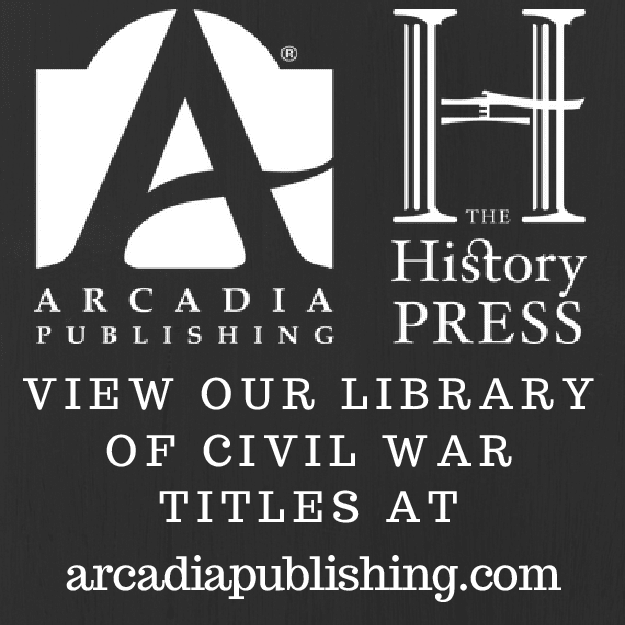 The number of Confederate cannon engaged at Lewisburg along with how many of these were captured in the town and later at the bridge together comprise another major topic of debate that the book addresses at length. In the main text and in an appendix, Armstrong presents an exhaustive examination of the evidence before finally coming to the unabashed conclusion that no truly definitive answers exist. In assessing the battle's lasting importance, no one can argue that the Union victory had great strategic moment. With the Confederates losing 240 men and the federals 93, the loss disparity was striking but not crippling to either side. Perhaps the greatest significance of the battle was that it raised Crook's stature in the Union Army, leading directly to his promotion to brigadier general. The volume's maps perform adequate service as visual aids, though the schematic art style of the battlefield maps appears a bit spartan in comparison to the elaborate cartography found in the best modern battle studies. That said, a reproduction of the Devol Map, a remarkably detailed sketch of the Battle of Lewisburg drawn the day after the fight by Capt. H.F. Devol, is included in the book as an appendix. Separated into five magnified sub-sections for clearer viewing and extensive labeling, the book's deconstruction of Devol's map offers readers the most vivid representation of the battle landscape, and one wishes its meticulously rendered terrain features could have been transferred to the book's own original tactical drawings. The volume also contains an extensive casualty roster for both sides, along with other items of interest in the appendix section. 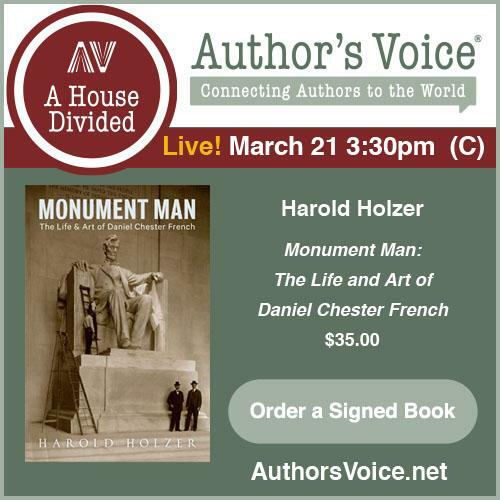 These include information about Union and Confederate cemeteries, some poetry related to the battle, additional background and analysis of Heth's artillery batteries, a discussion of the so-called "relic gun" captured at the battle, and more. Before now, arguably the best published account of Lewisburg was the brief overview of it contained in chapter nine of Tim McKinney's The Civil War in Greenbrier County, West Virginia (Quarrier, 2004). Fortunately, the battle's very limited presence in the literature is expanded and improved in all ways by Richard Armstrong's exhaustive study. The Battle of Lewisburg offers the kind of in-depth, wide-ranging treatment that similarly obscure but locally significant Civil War engagements rarely receive. The success at Lewisburg did not lead 'directly' to Crook's promotion to brigadier general. Crook was recommended by the Ohio delegation in Congress and nominated to a brigadier generalcy 12 June 1862. But prior to adjournment of Congress, the senate failed to act upon the nomination and, as a consequence, it went by the board. On the solicitation of the 36th Ohio's lieutenant colonel, Ebenezer B. Andrews, who coveted promotion to Crook's colonelcy, Salmon P. Chase recommended Crook's promotion to Edwin M. Stanton on 7 September 1862. The same day Stanton and Halleck approved.